A country themed design incorporating turtledoves, pinecones and holly accompanied with a simple Merry Christmas. Measuring 80 x 53cm and complimented with one metre of branded crimson satin ribbon to tie round the top of the sack. A modern take on a traditional Christmas stocking. 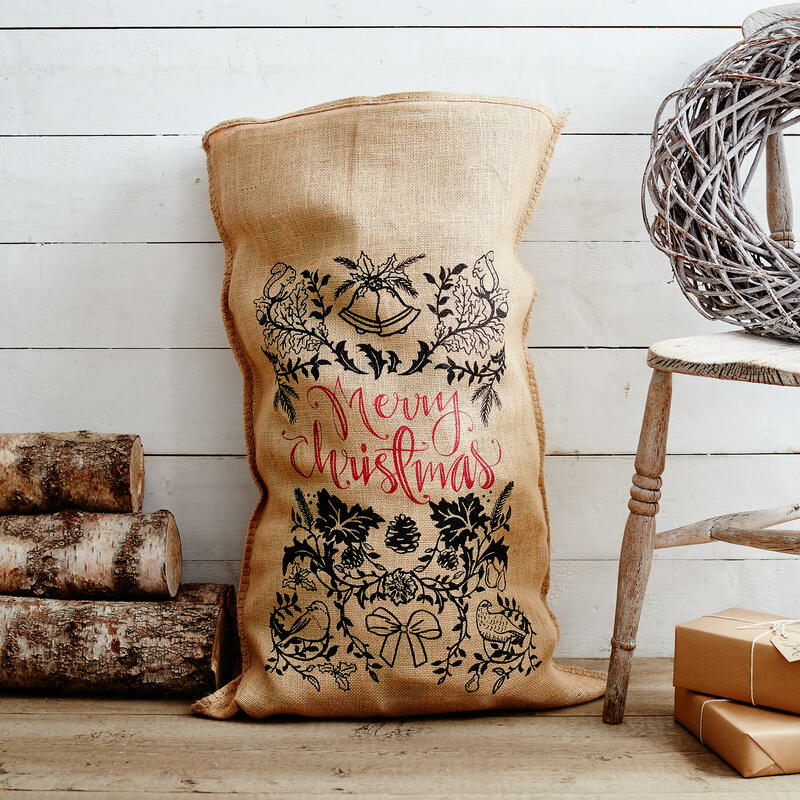 High end traditional Christmas sacks, thanks. ohh my lovely Darwin sack arrived today. Will be filling it with lots of pressies for the grandchildren. I must say not only does it look great but it is also of impeccable quality.